In the previous exercise we learned how to bring the port pin count down from ten to four for a ten-element LED dot display. However, the extra hardware required might seem a bit onerous. 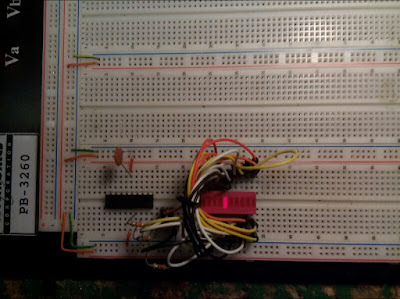 So, here's another approach which keeps the chip count under control and the software is only slightly more complex. It uses the same technique we first saw in Charlieplexed LEDs. The only change is that we're now controlling ten elements, not eight. 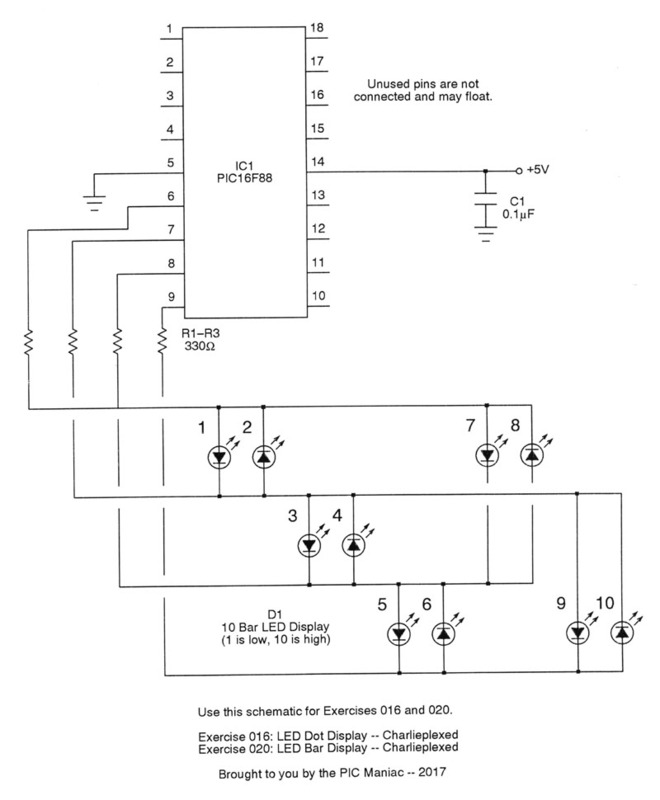 Here's the circuit, and simple it is! As the photo of the project (above) shows, the wires run all over the place, but other than that it really is a simple circuit. Maybe not so well suited for a breadboard, but certainly on a PCB it would be a piece of cake. This uses an alternate Charlieplexing unit. I made one small change to the existing PMP unit so that the pin assignments were more orderly, that's all. 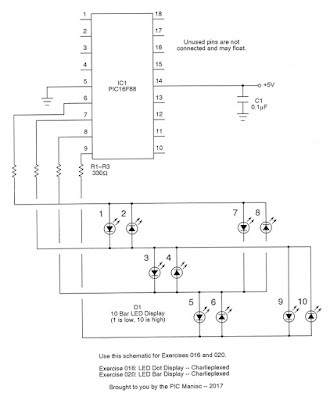 The same circuit will be used in Exercise 020 which extends things to a ten-element bar graph using interrupt driven multiplexing to give the illusion that more than one LED is lit at a time.